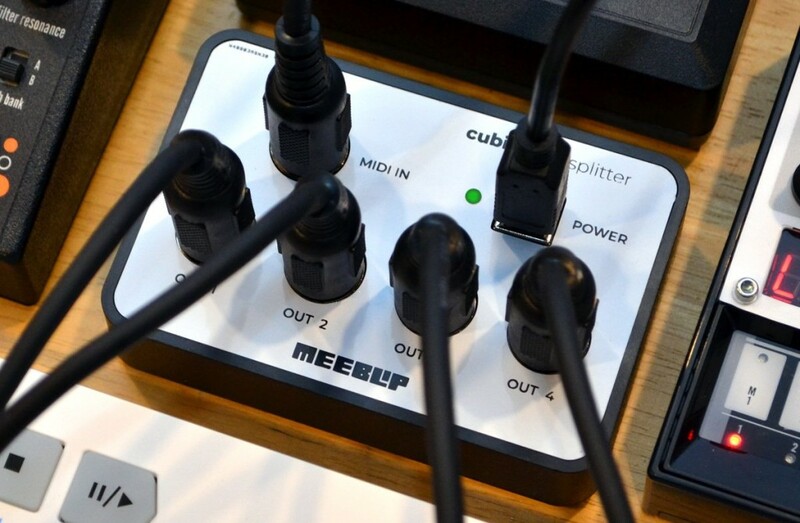 cubit is the first of a new generation of MeeBlip tools from us, as we make work to make synths more accessible and fun for everybody. 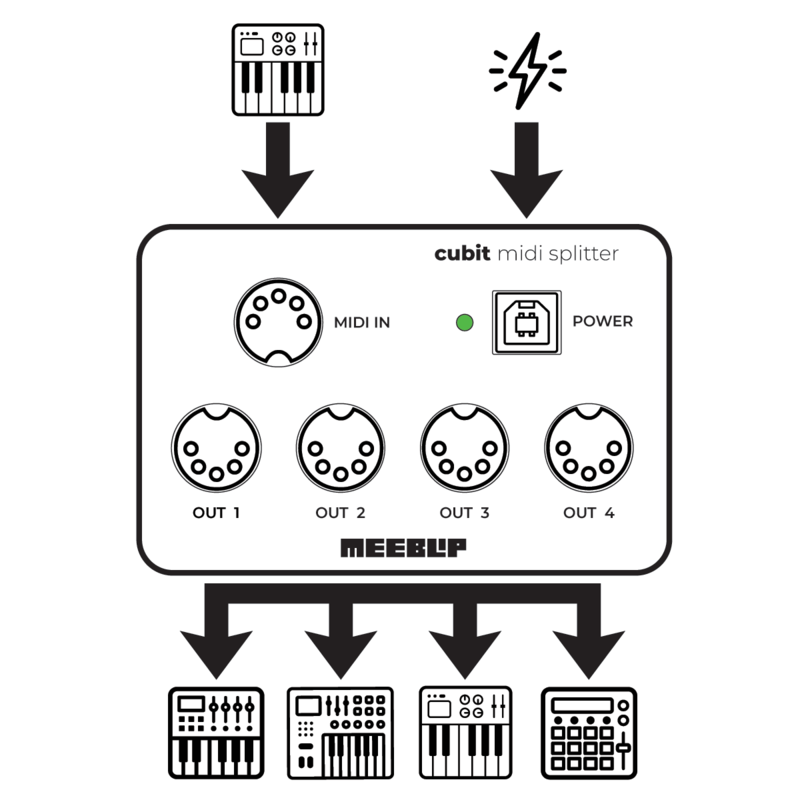 cubit’s mission is simple: take one input, and turn it into four outputs, with minimum latency, minimum fuss, and at the lowest price possible. It fits anywhere. Ports are on the top, so you can use it in tight spaces. It’s small and lightweight, so you can always keep it with you. You’ll always have power. The USB connection means you can get power from your laptop or a standard USB power adapter (optional). Don’t hum along. Opto-isolated MIDI IN to reduce ground loops. Everything should have this, but not everything does. Blink! LED light flashes so you know MIDI is coming in – ideal for troubleshooting. There are other boxes that perform this task, of course. We just tried to make one that’s convenient, and carries a lower price. And we appreciate your support: we’ve got something else coming, and cubit sales help us pull the trigger on manufacturing that. It’s a … well, we’re excited to tell you about it soon. One input, four outputs, no lag – easy. We love little, inexpensive gear. But those makers often leave out MIDI out/thru just to save space. With cubit, you can put together a portable rig and keep everything jamming together – alone or with friends. Right now, cubit is launching at just US$39.95 with a USB cable thrown in. If you need extra adapters or cables, we’ve got those too, so you can start playing right when the box arrives. (Shipping in the US is free, with affordable shipping to Canada and worldwide.) And if you’re grabbing some stocking stuffers, don’t forget to add in a cubit so your gifts can play along and play with others. Get one while our stocks last. And don’t look in stores – we sell direct to keep costs low.